As much as people might want to think that email marketing is ‘dead,’ it is alive and well. Those who have been working on capturing the email addresses of their customers have been benefiting from marketing tactic for years. 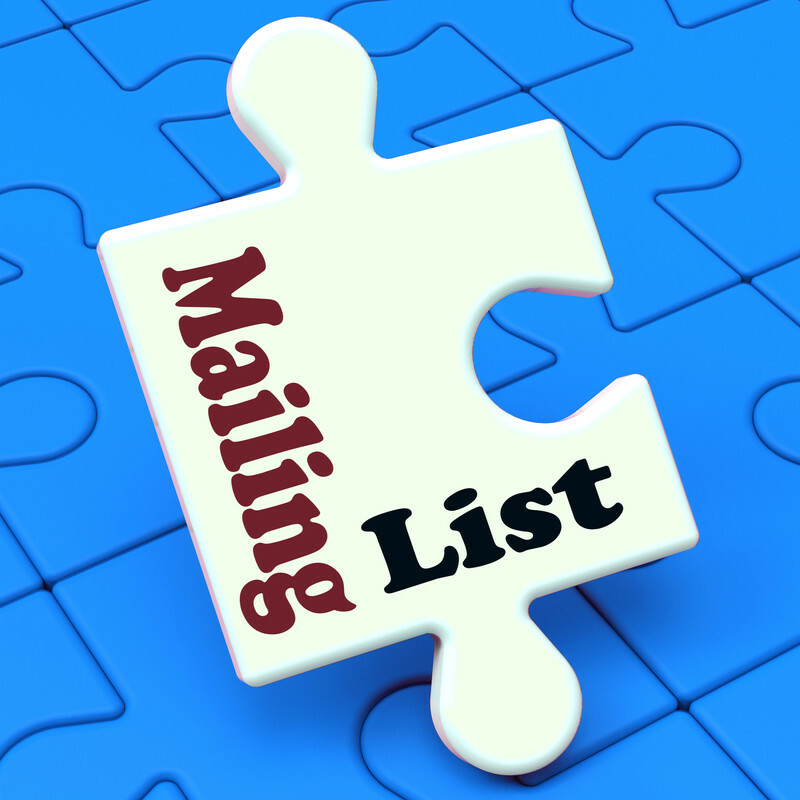 If you are new to business or new to email marketing, having a large list of email addresses is essential. Building the list takes time, but when you are diligent about building it, it will provide the benefit of new sales. Until recently, many business owners didn’t even collect email addresses from their clients. They would communicate with them but once the transaction was complete, they would discard the email information. Today, the smart business owner has a system in place to add every prospect, client and connection to their email list so that they can keep them engaged. Remember, you want to build a list of people who want to know more about your business or people who want to stay connected with you because they have an interest in what you offer. Buying a list of emails does not serve that purpose and could put you in hot water with your email service provider. Offer a download on your website – One of the easiest ways to build your email list is to have an offering on your website where people need to give you their email address in order to get the offer. It could be an e-book, coupon or a complimentary session. Cross promote products – Work with a strategic partner to promote one of your products or services. When potential clients want to engage with you, the first thing they will need to do is provide you with their email address in order to receive your offering. Text to join at a conference/trade show – It’s easy to get a business card from people, but that doesn’t mean they want to be added to your email campaigns. When they text to join your list at a conference, you are generally offering them something of value in exchange for their email address. They add their name themselves and you are building your list. Sign up promotions as the cash register – If you have a retail store, offer customers a chance to get a discount if they sign up for your email campaigns. Put a laptop right there to make it easy or provide them with the text to join code. Connect with every prospect – Do you have prospects contact you but they decide not to go to the next step so you don’t get their email address? Find a reason to send something to every prospect and get their email address to do so! For example, you could say “I’d like to send you a recap of our conversation” or “I’d like to send you my contact information in the event you want to connect with me at a later date.” You are in the habit of getting their phone number; get in the habit of getting their email address. As you build your list, it’s imperative that when you mail to your list that you mail valuable content. Don’t send 30 emails in one day, much less 30 emails in one week. The more valuable your content, the more people will look forward to opening your email to see what you have to say!